The Diagnostic and Statistical Manual of Mental Disorders- Fifth Edition (DSM-5) describes autism spectrum disorder as a neurodevelopmental disorder that is characterized by impairment in reciprocal social communication and social interaction and restricted, repetitive patterns of behavior, interests or activities. These symptoms are present from early childhood and limit/impair everyday functioning. With the most recent revision of the DSM-5 in 2013, autism spectrum disorder now covers all disorders previously referred to as: autistic disorder, high-functioning autism, childhood disintegrative disorder, pervasive developmental disorder-not otherwise specified (PDD-NOS) and Asperger’s Disorder. 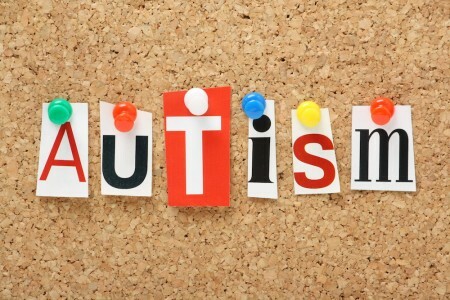 Autism is a spectrum disorder with varying manifestations of the disorder depending on the severity of the autistic condition in the above-mentioned symptoms. Additionally, many individuals with autism have language delays, ranging from a complete lack of speech, delayed language, repetitive use of language, poor comprehension of language and overly literal language (American Psychiatric Association, 2013). The Centers for Disease Control and Prevention (CDC) estimates that autism affects 1 in 68 children and is times more common in boys than girls. CDC also highlights that there are likely many causes for multiple types of the autism Spectrum disorder. 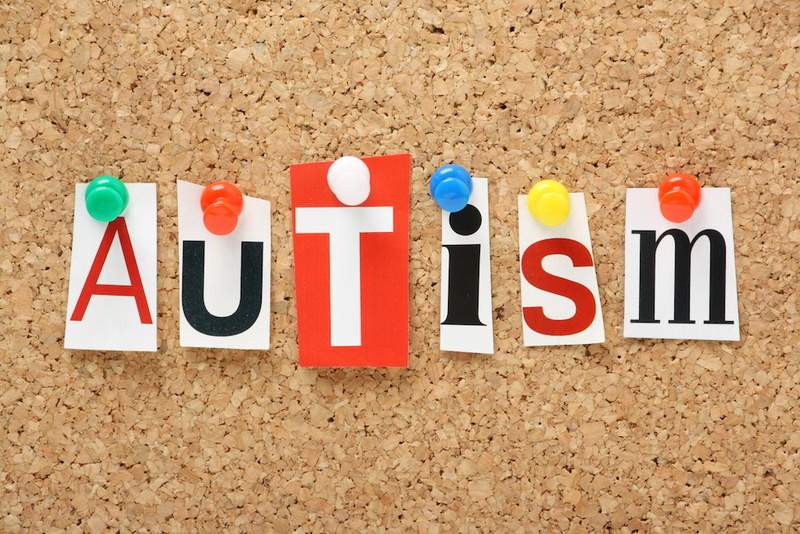 The factors that can contribute to a child having autism include environmental, biological and genetic factors. CDC has identified the some risk factors which include: genes being one of the main risk factors, children with siblings with autism have a higher risk of having autism and children born to older parents are at greater risk for having autism. Early symptoms of autism spectrum disorder are recognized with delayed language development accompanied by a lack of social interest or unusual social interactions, odd play patterns and unusual communication patterns. Sometimes parents may even wonder if their child is deaf and a hearing test will rule this out quite quickly. Parents will tend to observe odd and repetitive behaviours with the absence of typical play as well (American Psychiatric Association, 2013). Does your child point to show interest in something? Does your child respond by looking at you when you call his/her name? Does your child show interest in other children? Does your child bring objects to show you? Does your child look at something across the room when you point to it? Does your child imitate things you do, like silly faces? It is important to note that if you have observed your child doing any of the above once or twice, to check no. Additionally, parents could complete the Modified Checklist for Autism, Revised (M-CHAT-R; Robins, Fein & Barton, 1999) which consists of 20 questions to identify if your child demonstrates symptoms of autism. Both the above checklists of red flags are screening tools to identify if a child is demonstrating potential symptoms of autism. However, a parent needs to have a thorough diagnostic evaluation conducted for their child before the diagnosis of autism can be confirmed. Children are able to be diagnosed by the age of 18 months and a diagnosis given at 2 years old is considered to be quite accurate. Unlike a medical condition, there are no medical tests that can be given to diagnose this disorder. Instead, doctors and trained clinicians will need to make diagnosis based on developmental delays observed and behavioural observations. During routine doctor visits, a child’s development is monitored and if there are delays observed, a developmental screening should be conducted by a pediatrician. This is to ascertain the child’s developmental delay. If there are concerns in the child’s development, a comprehensive diagnostic evaluation needs to be conducted. The diagnostic evaluation can be conducted by developmental pediatricians, child neurologists or child psychologists/psychiatrists (CDC, 2014). It is necessary that these clinicians have appropriate qualifications (minimum qualification would be a Masters’ Degree from an accredited university in the mental health or psychology field), appropriate accreditations as well as experience in the area of diagnosing children with autism accurately using the recommended diagnostic tools. At present, the Autism Diagnostic Interview-Revised (ADI-R) and Autism Diagnostic Observation Schedule (ADOS; Lord, Risi, Lambrecht, Cook, Leventhal, DiLavore, Pickels & Rutter, 2000) are considered to be the ‘gold standard’ diagnostic procedure (Falkmer, Falkmer, Anderson & Horlin, 2013). Other tools typically used include the Childhood Autism Rating Scale (CARS; Van Bourgondien, Marcus & Schople ,1992) or the Gilliam Autism Rating Scale- 2 (GARS-2; Gilliam, 1995) however these screening tools need to be used together with the American Psychiatric Association’s Diagnostic and Statistical Manual, Fifth Edition (DSM-5). The diagnostic evaluation will cover two main areas, an interview with the parents/care givers to determine the child’s development as well as the clinician’s observation of the child’s behavior. The diagnostic evaluation will typically take between 2-3 hours long. Little or no initiation of social interaction. Little or no sharing of emotions. Reduced or absent imitation of others’ behaviours. If language is present, may be one-sided. Language may be lacking in social reciprocity. Language may be used to request or label rather than to comment, share feelings or have a meaningful conversation. Impaired joint attention such as a lack of pointing, showing or bringing objects to share interest with others or failure to follow someone’s point or eye gaze. Individual may learn to use a few functional gestures but not spontaneous expressive gestures used in conversations. Possibly odd or exaggerated body language. Poorly integrated non-verbal communicative behaviours such as eye contact, gesture, body posture, prosody and facial expressions in social communication. Absent, reduced or a typical social interest, demonstrated by rejection of others, passivity or inappropriate approaches that may appear aggressive or disruptive. Lack of shared social play and imagination. Possibly insistence on playing by very fixed rules. Preference for interacting with much younger or older people. Difficulty understanding appropriate social behavior in different contexts. Difficulty understanding different ways language is communicated (e.g. sarcasm, irony, idioms, whitelies, etc.). Friendships maybe established on one-sided basis or solely on shared special interests. b. Insistence on sameness, inflexible adherence to routines or ritualized patterns of verbal or nonverbal behavior. Excessively circumscribed or perseverative interests. Extreme responses to specific sound or textures. Excessive smelling or touching of objects. Fascination with lights or spinning objects. Indifference to pain, heat or cold. Extreme reaction to or rituals involving taste, smell, texture or appearance of food. Research has shown that early intensive behavioural treatment is the most effective treatment for individuals with autism. Our brains are most malleable at an early age and are able to absorb more during our toddler and preschool years. Furthermore individualized one to one treatment tailor makes a programme to address an individual’s deficits and to coach that individual intensively. Think of an intensive rehabilitation programme for physical difficulty. Before the 1990’s, children with special needs were not given much help and many showed no signs of improvement as a result. Now, research shows that with early intervention, about half of even the more severely affected children can improve and be on par their peers in succeeding in school. Children with social and language difficulties show greater improvement if they begin intensive treatment (35 to 40 hours per week) before the age of five. Children show improvements in language development, social interactions, better relationships with family members, reduction of inappropriate behaviours such as self-stimulatory behaviours or aggression, improved quality of life for the family, and overall an increase of skills in all areas. It is important that children learn how to learn before they enter school so that learning time in school is not wasted. Children with autism generally do not learn from their environment and pickup skills from experience as easily as typical children do. They need to be taught specific skills such as attention, compliance, and imitation before they are ready to learn in group setting. Falkmer, T., Falkmer, M., Anderson, K. & Horlin, C. (2013). Diagnostic procedures in autism spectrum disorders: systematic literature review. European Child an Adolescence Psychiatry, 22(6), 329-340. Gilliam, J. E.(1995) Gilliam Autism Rating Scale- Second Edition(GARS-2) Austin, TX: Pro-Ed. Lord, C., Risi, S., Lambrecht, L., Cook, E. H., Leventhal, B. L., DiLavore P. C., Pickels, A. & Rutter, M. (2000). The Autism Diagnostic Observation Schedule-Generic: A standard measure of social and communication deficits associated with the spectrum of autism. Journal of Autism and Developmental Disorders 30(3), 205-230. Robins, D., Fein, D. & Barton, M. (1999). The Modified- Checklist for Autism in Toddlers. Self-published; 1999. Van Bourgondien, M. E., Marcus, L. M. & Schopler, E. (1992) Comparison of DSM-III-R and Childhood Autism Rating Scale diagnoses of autism. Journal of Autism and Developmental Disorders, 22(4): 493-506. Newer PostAnak kerap terhantuk kepala : bahayakah? Berapa kali kah pemantauan/temujanji/penelitian dengan Child Psychiatrist dapat disimpulkan bahawa seorang kanak-kanak itu adalah Autism? Like	. Dislike	. October 11, 2014, 3:40 pm . Ianyanya bergantung kepada banyak perkara. Sekiranya kanak-kanak tersebut mempunyai ciri-ciri autism yang nyata atau ‘severe’, lebih dari 4 tahun ke atas, dan telah membuat ‘hearing assessment’, dan ibubapa dapat memberi sejarah kelahiran dan perkembangan dengan baik, seorang ‘child psychiatrist’ atau ‘developmental paediatrician’ yang pergalaman boleh mengenalpasti sama seorang kanak-kanak itu mempunyai autism atau tidak, dengan satu atau dua temujanji dan penelitian (observation) yang mencukupi. Walaupun begitu, kebanyakan kanak-kanak memerlukan beberapa temujanji sekiranya tiada kepastian. Like	. Dislike	. October 12, 2014, 2:42 pm . Saya mempunyai anak lelaki berumur genap 3 tahun. Masalah sekarang anak saya tidak berpaling ke arah saya jika namanya di panggil serta tidak dapat bercakap dan tidak pernah memanggil nama saya ‘bonda’ . dan ‘ayah’ jrg sekali. Dia suka melompat-lompat dan mengepak tangan. Dia juga susah bertentang mata apabila saya mengatakan sesuatu walaupun dalam jarak dekat. adakah anak saya autism? tetapi dia boleh ketawa kalau gembira , n menangis kalau sakit. bab perasaan tiada masalah. Puan , tanda-tanda autism diterangkan pada artikel di atas. Dalam keadaan anak Puan ini, bawa berjumpa pakar pediatrik agar beberapa perkara boleh dibuat – check pendengaran , terapi pertuturan dan doktor yang memeriksa juga akan dapat menentukan masalah sebenar anak. 3 tahun dan masih tidak boleh memanggil ayah dan mama (atau sbgnya) perlukan perhatian segera. Like	. Dislike	. October 7, 2014, 10:47 am . Saya ibu kepada 2 orang anak Autism, kedua2nya lelaki. Anak bongsu 6 tahun suka bermain alat sulitnya sehingga terangsang. Berbagai cara telah saya buat antaranya tepuk tangannya sehingga dia tidak melakukan perkara tersebut dan memberi perfume kereta ayahnya yg dia suka cium agar dia tidak melakukan perbuatannya tetapi bila perfume tu kurang berbau wangi dia akan buat semula perkara tersebut. Kami sekeluarga sangat susah hati… Kami takut ia akan melarat dan menjadi tabiat. Tolong saya…. Abangnya 8 tahun tidak pernah berbuat demikian…. Saya amat susah hati takut abangnya pula yang ikut bila melihat adiknya berbuat demikian. Like	. Dislike	. September 10, 2014, 4:04 pm . Puan , adakah anak Puan di bawah pantauan pakar pediatrik/ Pakar psikiatri? Sekiranya autism mereka juga perlukan terapi carakerja . bincang dengan pakar yang merawat anak agar dia boleh dirujuk ke counselor atau pakar carakerja untuk terapi. Ini memerlukan pendekatan profesional dengan cara yang lebih spesifik untuk membantu. Like	. Dislike	. October 7, 2014, 10:50 am .